You are here: Home » FAQs » Does Dan Buoy Satisfy US Sailing™ Equipment Requirements? Does Dan Buoy Satisfy US Sailing™ Equipment Requirements? As of January 1st, 2014, US Sailing Safety Equipment Requirements Man Overboard Equipment § 3.7.2 specifically allows the dan buoy in satisfaction of the requirement to carry a man overboard pole. Other safety gear is also required; the man overboard buoy requirement is just one requirement. The SOS Marine dan buoy also meets the ISAF World Sailing Offshore Special Regulations requirement for a man overboard buoy. 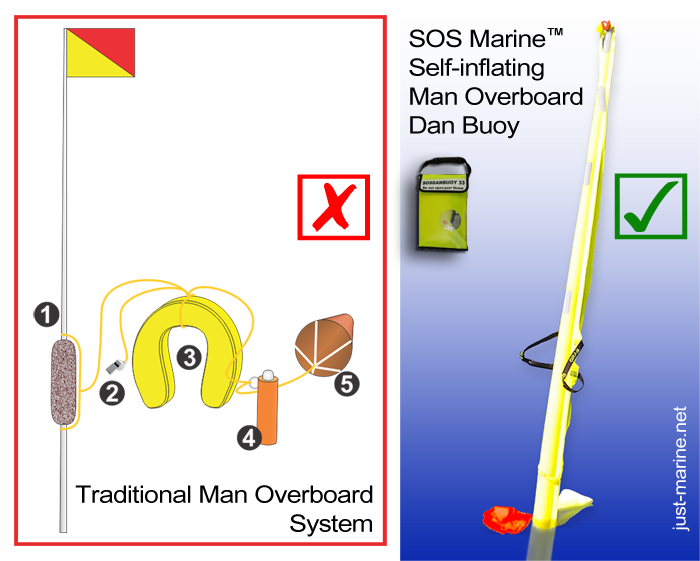 Learn more about the SOS Marine dan buoy or click to buy a dan buoy.